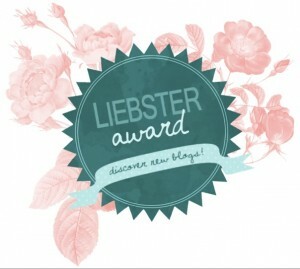 The Liebster Award 2016 is an award that exists only on the Internet, and is given to bloggers by other bloggers. The earliest case of the award goes as far back as 2011. Liebster in German means sweetest, kindest, nicest, dearest, beloved, lovely, kind, pleasant, valued, cute, endearing, and welcome. Sylvia writes about fashion, places, people and experiences, from her home in Washington, D.C., but with a Parisian twist. To learn more about Sylvia and her blog, you can read her answers to her nominator’s questions here. Yikes, way to start out with an easy question! But here goes… I don’t think we can define happiness as a static concept. Perfect happiness is the ability to be happy—not perfectly, but navigating the ups and downs—in the midst of constantly changing circumstances. Happiness is being free and flexible and open to change, ready to embrace it whether that change ends up being for the best or not. This one is a no-brainer. Travel. I don’t spend a lot of money on fancy hotels and restaurants, but I do spend a lot on travel in the aggregate. I travel all the time! I would love to be able to speed-read. I mean really read at warp speed and digest and remember everything. This may be a bit cliché but it’s true—my passports! You’d have to ask my friends this one. Anyone? Mayonnaise. And bigotry, misogyny, dishonesty. But mostly mayonnaise. I like to be the protagonist in my own fictional tale of heroism. It’s much more fun than picking someone else’s. I’ve always shied away from having specific heroes. I try to admire some quality or qualities in everyone. Almost everyone. If you could come back as a person or thing, what would it be? I don’t think I’d want to come back as anyone but myself. That would just be weird. Unless I could switch back again after a few days. If I could come back as a thing, maybe a tree. A tree on a city sidewalk that lives a long life and silently witnesses so many things below. I wish I had zero fear of public speaking. First, “What do you really want?” I like to ask myself this question anytime I need to make an important decision. I find that too many people start with, “What’s reasonable to expect in this situation?” And they lean towards doing what is most feasible. I would rather start with the ideal outcome, then figure out my path to getting there. I’ll take a few steps backwards only if absolutely necessary. My second motto: Travel early and often, to paraphrase (with a tweak) Al Capone. Here are the questions for my nominees. Not surprisingly, many are travel-related! What is your favorite city in the world—to live in or just to visit? What is your favorite place in the world that’s not a city? What spot would you recommend visiting that most people reading have probably never been to? What is your “last meal”? What about yourself are you currently working to improve? Do you have any regrets in life so far? If so, what are they? If someone handed you $1 million right now, what would you do with it? If you could only ever travel to and in three countries ever again, which three countries would you pick? What is one of your goals for the next year or two? Create 11 new questions for your nominees to answer and list them on your blog. These rules were modified over time from the original rules—take your pick!